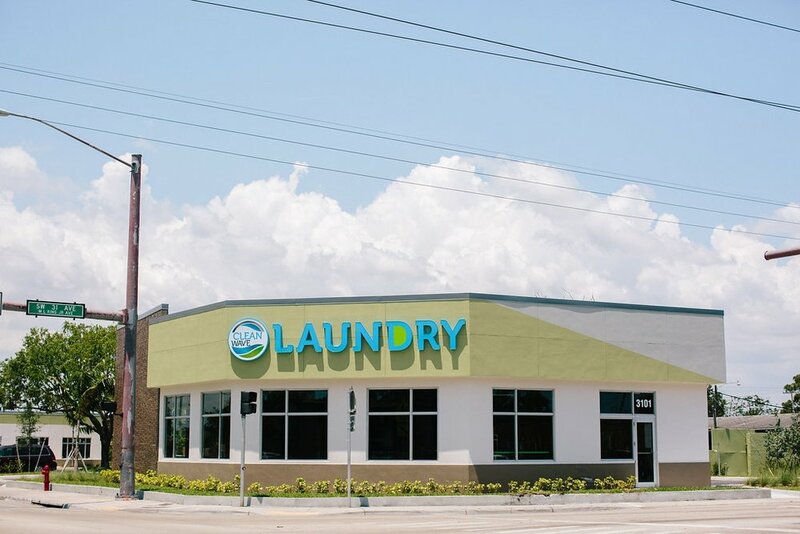 24 Hour Laundry located at 3101 Davie Blvd., Fort Lauderdale. Additional Clean Wave locations coming soon. 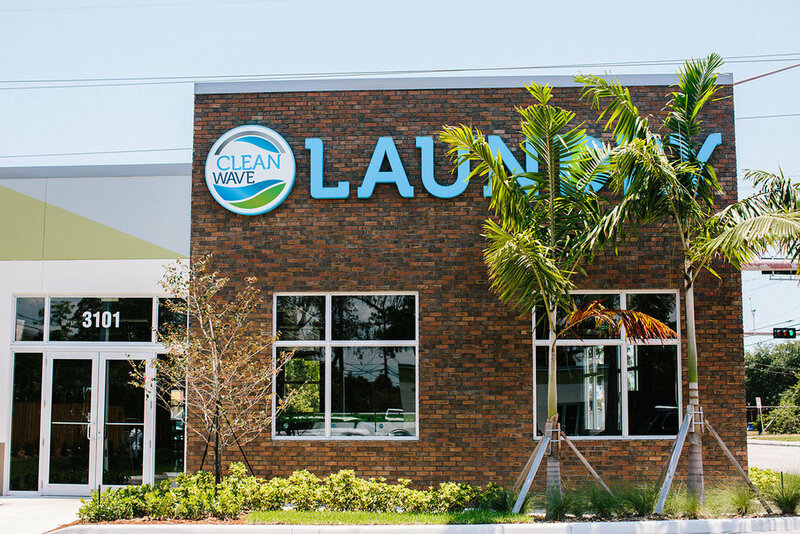 If you’re looking for an upscale laundry in Fort Lauderdale, you've come to the right place. We didn’t give ourselves the tagline, “More than just a laundromat” for no reason. 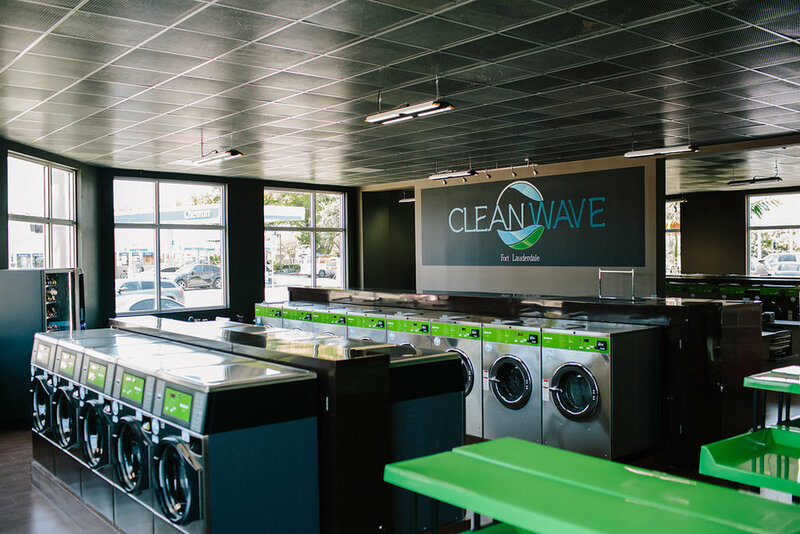 Clean Wave® makes its upscale statement clear with a sleek, modern interior inspired by the ambiance of a cozy coffeehouse atmosphere, inviting customers to relax and linger a little longer. Clean Wave® has partnered with a local chalkboard artist to create beautiful designs for our customers. 24 Hour Laundry on Davie Blvd. Local laundromat in Fort Lauderdale, Florida. Self Service Laundry with washer capacities up to 100lbs and dryers up to 75lbs. Laundromat washer prices starting at $2.95. Clean and spacious laundry with 83 machines. Come try our Fluff & Fold service starting at 75¢/lb. Self Service Laundry open 24 hours with 35 parking spaces.